European funding follows the direct line of the project “Europe 2020” which aims at the harmonisation of the regions of all member states. This funding is divided into four categories: competitiveness for growth and employment; economic, social and territorial cohesion; sustainable natural growth; security and citizenship. Cohesion Fund (FD): The Cohesion Fund is one of the financial instruments of the EU aiming at reducing existing disparities between different regions in terms of development. It provides support for the poorest regions of the EU with the aim of promoting growth, employment and sustainable development. European Social Fund (ESF): The European Social Fund invests in human resources with the aim of improving the job and educational situation within the EU. For the period 2014-2020, it is focusing its efforts on vulnerable groups, particularly young people. European Regional Development Fund (ERDF): This fund intends to reduce the gap between the different regions of the EU by providing particular assistance for regions that are considered “naturally disadvantaged” or “isolated”. The ERDF fund also subsidises the Interreg programme which seeks to improve interregional cooperation and exchange. European Agricultural Fund for Rural Development (EAFRD): Rural development policy is a key element of the EU’s common agricultural policy. In this field, the Union’s priority is to make agriculture more just, more ecological and more efficient as part of the Europe 2020 agenda. European Maritime and Fisheries Fund (EMFF): This fund seeks to support those working in the fisheries and aquaculture sectors as well as help coastal populations adapt to the new Common Fisheries Policy (CFP) introduced on 1 May 2014. LEADER (“Liaison Entre Actions de Développement de l’Économie Rurale”, meaning “Links between the rural economy and development actions”): This programme of the European Union aims at revitalising rural zones by creating new employment through local projects. LEADER is financed by the EAFRD. European Territorial Cooperation (ETC): The ETC programmes intend to propose shared solutions to common challenges and thus encourage the creation of partnerships between public and/or private actors of several countries. COSME (Competitiveness of Small and Medium-sized enterprises): This programme aims at re-establishing the competitiveness of SME’s with the help of four priorities: improve SMEs’ access to funding; facilitate their access to national and international markets; improve the framework conditions in order to ensure the competitiveness and sustainability of enterprises in the EU; promote entrepreneurship. Learn more about this programme in the Centre Val de Loire region here. Erasmus+: Erasmus+ is the EU’s programme in the areas of education, training, youth and sports during the period 2014-2020. It draws on precedent European initiatives seeking to promote exchanges, the development of educational and training systems and the work of young people. If this programme in the Centre Val de Loire region interests you, click here to learn more. EaSI (Programme for Employment and Social Innovation): This programme aims at encouraging long-term growth and sustainable employment, smoothing the gap between the countries of the European Union and reducing social inequality. Horizon 2020: The Horizon 2020 programme seeks to reinforce the scientific and technological foundations of the EU and to exploit more efficiently the economic and industrial potential of politics in matters of innovation, research and technology. If you wish to learn more about the Horizon 2020 programme in the Centre Val de Loire region, click here. 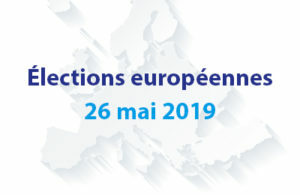 Connecting Europe Facility (CEF): This programme seeks to establish funding of the European Union to accelerate investments in projects of infrastructure and transport, telecommunication and energy in order to stimulate economic growth. Creative Europe: Creative Europe subsidises projects seeking to preserve and defend Europe’s cultural and linguistic diversity and to reinforce the competitiveness of the cultural and creative sectors. You can find more information on the funds dedicated to culture in the Centre Val de Loire region by clicking here. Europe for Citizens: Through this programme, citizens have the possibility of engaging in transnational exchanges and actions of cooperation which help create a sense of belonging to the common European ideals as well as encourage the European integration process. Here you can learn more about the budget of the Centre Val de Loire region. Asylum, Migration and Integration Fund (AMIF): The Asylum, Migration and Integration Fund seeks to contribute to effective managing of migratory flows and to improve the implementation and development of a common EU policy concerning matters of immigration and asylum. Financing is achieved by a call for proposals; you can find the calls proposed by the French Ministry of the Interior here and the list of the European Commission here. Internal Security Fund (ISF): The Internal Security Fund for the period 2014-2020 is built on the base of a global funding framework composed of two elements: the first, ISF POLICE, is a police cooperation which seeks to prevent and suppress crime as well as manage crises. The second element, ISF Borders and Visa, takes care of the external borders and the common visa policy. This fund can be granted following a tender process by the European Commission. The Ministry of the Interior can also call for tenders; learn more by clicking here. Health programme: This programme seeks to encourage health in the European Union by promoting the cooperation between the member states, in order to improve health policies that benefit the citizens. It also supports the bundling of resources in situations in which economies of scale are the best solution. You can find the different calls for proposals here. LIFE (Programme for the environment and climate action): The LIFE programme is the principal funding framework of the EU for policies linked to the environment and global warming. With the help of this programme, the Centre Val de Loire region is actively involved in ecology, which is one of the major challenges we are facing today. Learn more about the region’s commitment here. The first concerns the sectors of the future (transport, broadband, energy, digital technologies …) but also more efficient utilisation of resources and renewable energies, long-term investment funds, research and innovation, education and internships. The second concerns innovative projects led by small and medium-sized enterprises (SME: capital, microcredit) and intermediate-sized enterprises (ETI: credit for research and development projects, risk capital for prototypes). These projects are generally financed through the EFI (European Investment Fund) which is an affiliate of the EIB, providing guarantee to the national banks that wish to give loans to these enterprises. Today every project leader, public or private, can present a project directly to the EIB. In order to accompany the actors interested in this investment, two platforms have been created: the European investment advisory hub and the European investment project portal. It is important to note that the EFSI does not replace but complete the traditional instruments of the European cohesion policy, in particular the structural and investment funds (FD, ESF, ERDF, EAFRD, EMFF, Interreg). Learn all that you want to know about the EFSI here. The European Commission resorts to public markets in order to procure the goods and services it needs: technical studies, assistance and training, advice, conferences and advertising services, documentation, computer equipment etc. The suppliers are selected through tenders published by the Commission’s unities, organisms and agencies all across Europe. Then the Commission awards a grant to the suppliers. A grant is a “direct financial contribution, by means of donation or payment of non-commercial nature to a specified beneficiary”. It funds either “an action intended to promote the implementation of an EU policy objective (grant for action) or the functioning of an organism pursuing an aim of general European interest”. These different calls for proposals are listed on the European Commission website which subdivides the different departments in order to manage the calls for proposals in each sector.